With the Industry Day at the Range underway at SHOT Show 2019, Winchester is one of the 1st companies to pop off something new! They have introduced a NEW straight-wall cartridge to the shooting world dubbed the 350 Legend! This cartridge could be the next “sliced bread” for hunters because it will be legal in […] Read More … The post [SHOT 2019] Winchester’s NEW 350 Legend Cartridge appeared first on The Firearm Blog. In this episode of TFBTV’s SHOT Show 2019 Industry Day at the Range coverage, James interviews 5.11 about their new spring and fall 2019 line, which includes updates to their gear and apparel. From their press release: Expanding on 5.11’s popular ever-versatile AMP (All Missions Pack) line, debuted at SHOT in 2018, the AMP10 Backpack […] Read More … The post [SHOT 2019] 5.11 Tactical’s New Gear and Apparel appeared first on The Firearm Blog. 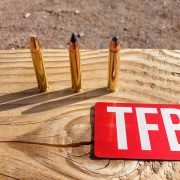 In this episode of TFBTV’s SHOT Show 2019 Industry Day at the Range coverage, James interviews 5.11 about their new spring and fall 2019 line, which includes updates to their gear and apparel. From their press release: Expanding on 5.11’s popular ever-versatile AMP (All Missions Pack) line, debuted at SHOT in 2018, the AMP10 Backpack […] Read More … The post [SHOT 2019] 5.11 Tactical’s New Spring and Summer Gear and Apparel appeared first on The Firearm Blog. Today’s photo features graduating Somalian Army conscripts being sworn in next to some new Turkish MPT-76 rifles and MG-3 general purpose machine guns made by Turkey’s state-owned small arms manufacturer MKEK. The photo was taken at a graduation ceremony for 185 Somalian officer cadets at the Somalian-Turkish Task Force Command in Mogadishu. The Ceremony was attended by […] Read More … The post POTD: Somalian MPT-76s appeared first on The Firearm Blog. Not the loneliest number On my way down to link up with the good folks at OSS Suppressors, I noticed a very awesome little bolt action pistol on one of their tables: Gear Head Works much anticipated ONE pistol in .300 Blk. 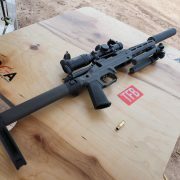 I gave the firearm a good looking over, and the fit and finish […] Read More … The post [SHOT 2019] Hands on with Gear Head Works’ ONE pistol in .300BLK appeared first on The Firearm Blog. My nested tags are not displaying how I would expect in the tag browser. I recently re-built my library and I suspect that's what caused this. Is there a way to fix this? Found this Ceramic Street Chair in Rotterdam The post Ceramic Chair appeared first on Chairblog.eu. I am, again, unable to attend. But there’s great coverage at Shooting Illustrated and The Gun Feed.